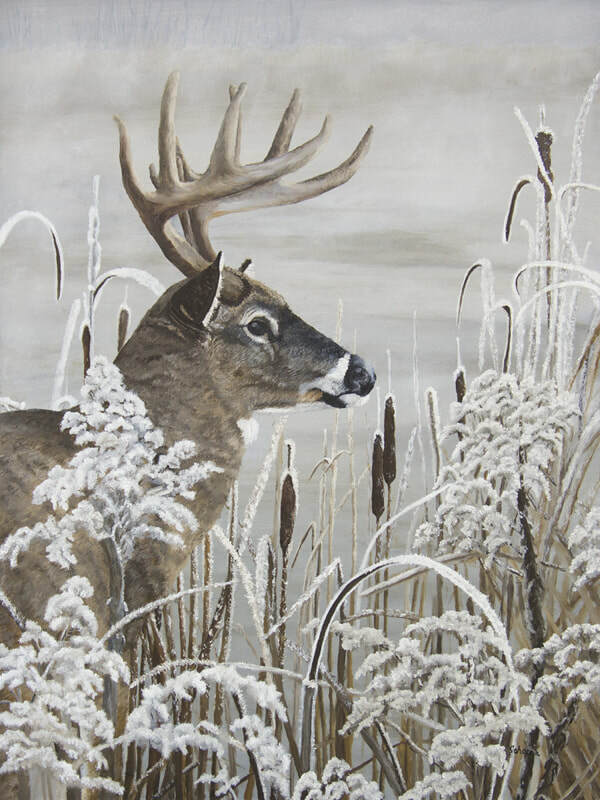 This oil painting depicts a whitetail buck standing on the edge of the pond. Fog is lifting off the partially frozen water, in the early morning with hoar frost blanketing the reeds, cattails and dried goldenrod. What a magical site as he looks over to possibly the whitetail doe in Caught Her Attention.